The 81st anniversary season of The Lost Colony commemorates the 431st birthday of Virginia Dare, the first English child born in the New World — to colonist Eleanor Dare on Aug. 18, 1587. The Lost Colony continues its long-celebrated tradition of using real babies during the August 18th performance. Being a “Dare Baby” is a coveted role in the community that many local citizens have had the opportunity of being a part of. For Virginia Dare Night only, the prop baby, swaddled in blankets, is replaced with these special guests. Virginia Dare Night is generously sponsored by First National Bank. To be considered for the honor of appearing on stage, all babies must attend an audition meeting on Saturday, July 21 at 10 a.m. in The Lost Colony Building located by the Elizabethan Gardens within Fort Raleigh National Historic Site. Members of the cast and administrative staff will be on hand to assist in the screening process. The casting is open to all cheerful boys and girls who are less than 15 pounds. 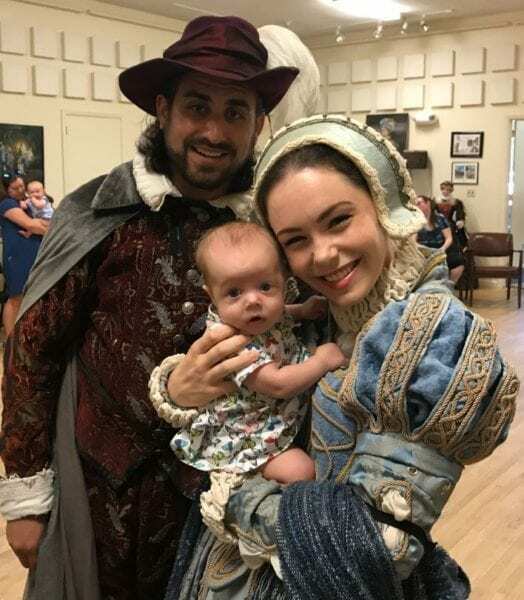 All Virginia Dare babies must be available for several hours on the evening of August 18th for pre-show preparation and for The Lost Colony performance. All selected Virginia Dare babies will be introduced from the stage prior to the performance at 7:45 PM. In addition to the Virginia Dare Night performance, The Lost Colony and National Park Service will join forces in a special Virginia Dare Faire on the grounds of the Fort Raleigh National Park Site on Saturday, August 18th from 10:00 AM to 1:00 PM. Also sponsored by First National Bank, all aspects of the Faire will be free to the public and families are encouraged to attend. Fun activities for children led by The Lost Colony company members and National Park Service employees will be both educational and entertaining. For further family entertainment, attend the performance of The Lost Colony that evening starting at 7:45 PM. More information is available on the website at thelostcolony.org or by calling the Ticket Office at (252) 473-6000. The Lost Colony runs nightly through August 22, except Sundays.